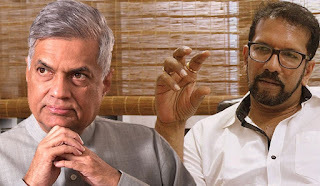 Senior adviser to the president Shiral Lakthilake had a closed door meeting with prime minister Ranil Wickremesinghe recently, say government sources. The meeting took place at the invitation of the PM and the president has sanctioned it. What has come under discussion there was setting aside the unpleasant political incidents in the past few months and continuing with the government as well as steps to resolve the ill will between the two leaders. According to the sources, the meeting was productive. Lakthilake has studied conflict resolution internationally and has had extensive experience on such matters. Defence secretary Hemasiri Fernando too, tried in recent days to conciliate the president and the PM.